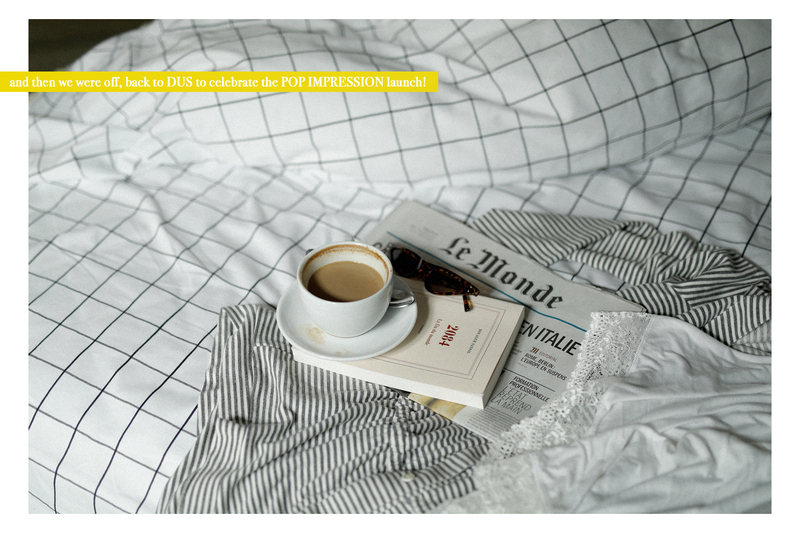 Dreamy and calm… a morning in Paris. I’m pulling away the curtains to overlook the rooftops of this grey, cloudy city that is still so quiet and calm. As if it was waiting for the masses of people to wake up and fill the city with life, a pigeon is making strange noises in front of my window. 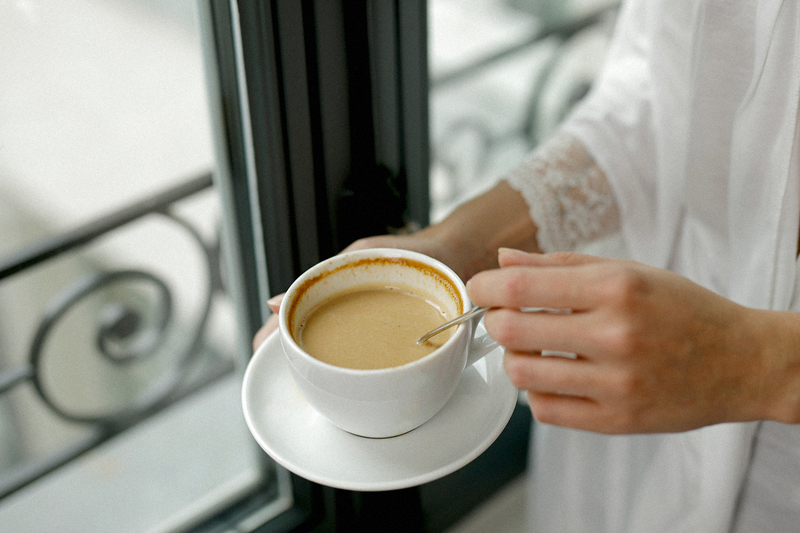 Here I stand, sipping on my coffee and reading the news, before I can finally get myself to slip out of my super comfortable eberjey jumpsuit and into daytime clothing. And then, we need to pack and leave as we have booked an early plane back to Düsseldorf. After all, back home, a very special launch event awaits that we don’t want to miss! 1. 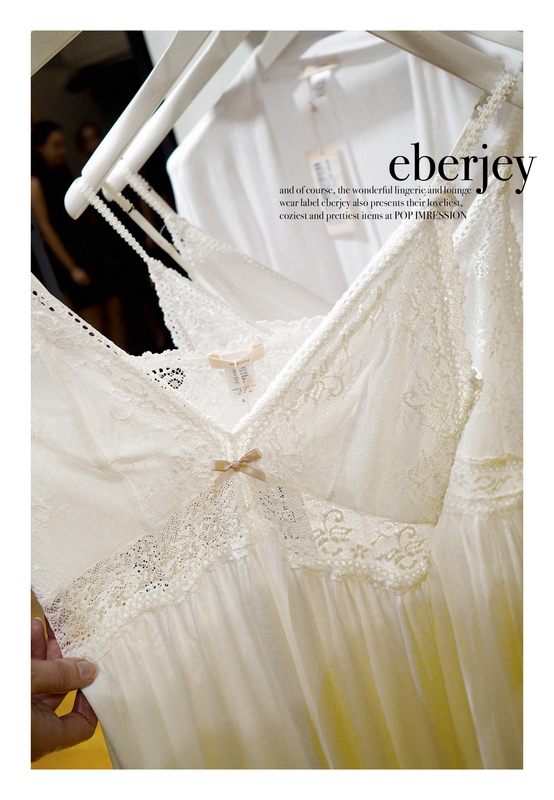 EBERJEY: this lingerie and lounge wear brand features super soft fabrics, lovely and modern cuts and colour and a perfect fit. 2. 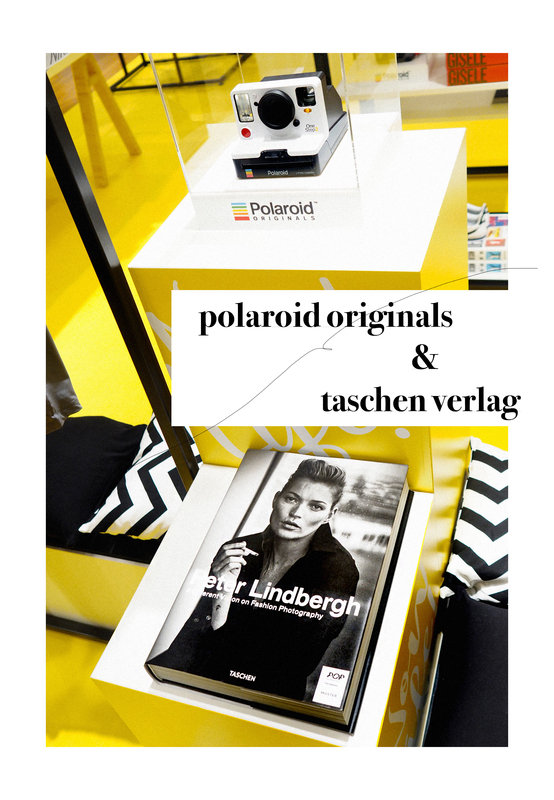 TASCHEN: this book label stands for life style and inspiration! 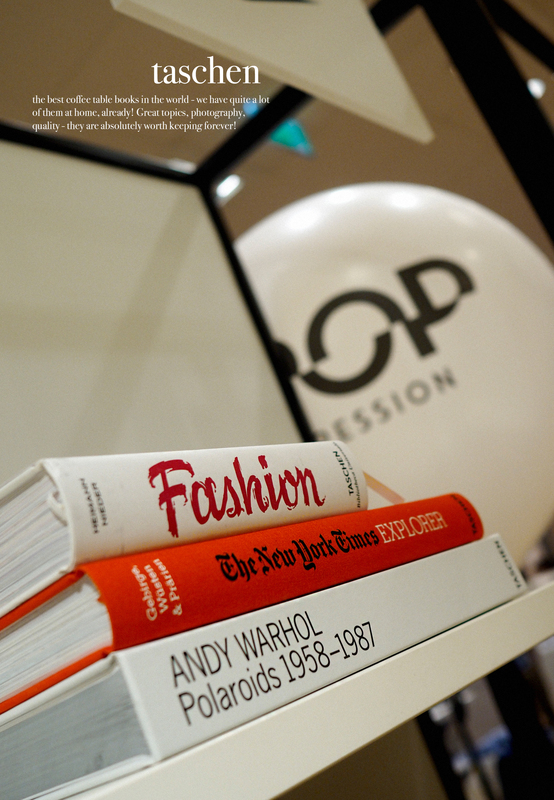 High quality and super interesting coffee table books can be discovered here. 3. 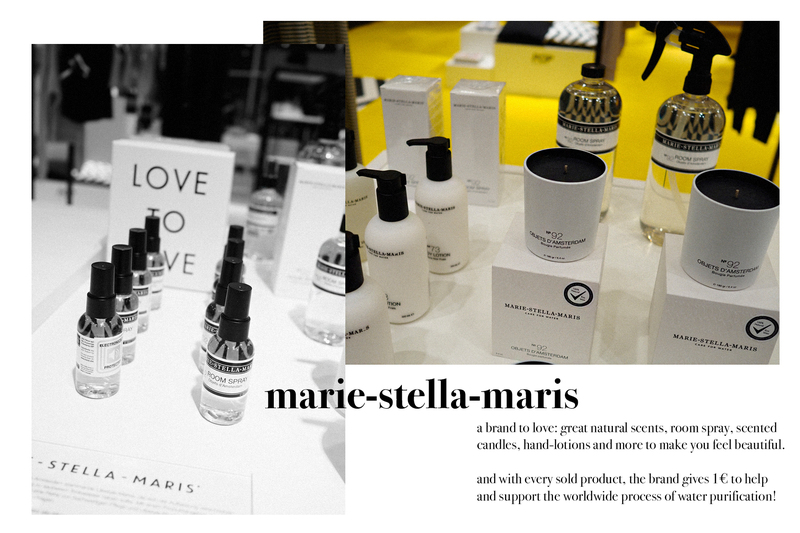 MARIE-STELLA-MARIS: the home and beauty brand from Amsterdam is a true love-brand. Next to great products and scents, they care and work for for drinking water cleansing around the globe. 4. POLAROID ORIGINALS: this vintage cam finally got a reboot and we couldn’t be happier about it. 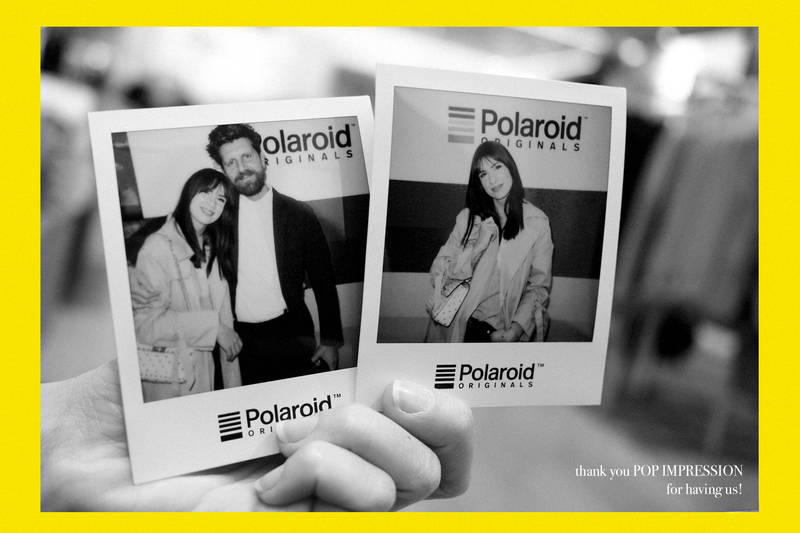 I mean, who doesn’t love Polaroids, right?! 5. NIKE: the sports fashion brand presents an updated version of the classic Air Max and many more sporty and urban fashion pieces. 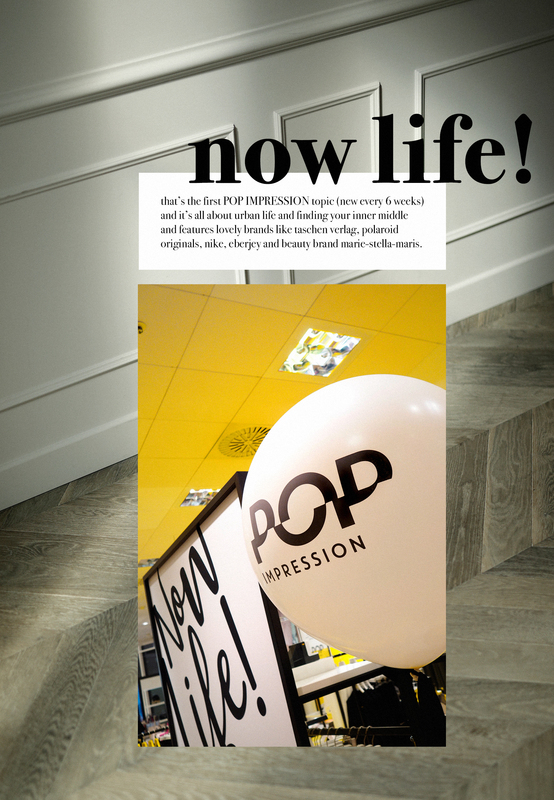 Sooo, how do you like the idea and concept of POP IMPRESSION? And which brand did you find the most interesting? Do let me know in the comment section! *This article is supported by Peek & Cloppenburg. 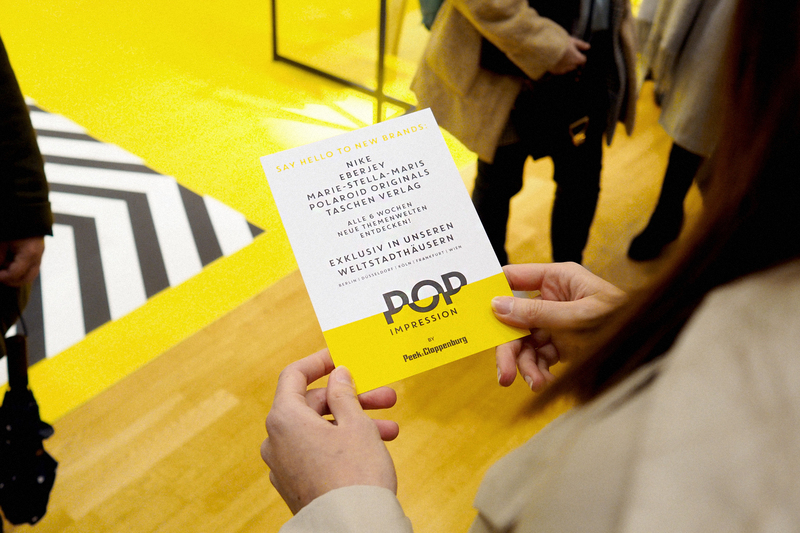 eine echt tolle Event-Review meine Liebe! das Konzept klingt wirklich genial wie ich finde! jetzt mag ich mir die Teile selber noch anschauen! Das neue Konzept finde ich sehr spannend, eine ausgesprochen gute Idee! Deine Bilder mag ich hier auch wieder ganz besonders, toll gestaltet mit den Collagen und so passend. Hi, das klingt nach einem tollen Event. Das würde mir auch gefallen. Als ich noch in Düsseldorf gearbeitet habe, bin ich gerne zu P&C gegangen. Hört sich nach einem tollen Event an. Eure Bilder ziehen mich immer wieder in ihren Bann. Ihr habt wirklich das Talent besondere Stimmungen einzufangen, so dass sich die Bilder von der restlichen Bilderflut abheben. Ein Highlight Jagd das Nächste, was für eine aufregende Woche. Klingt nach einem schönen Event. Interessantes Konzept, das Gelb zieht aufjedenfall die Blicke auf sich!